What? Harper Lee Is Back on the Horse? Well, not really. She just happened to write a sequel (back in the day) to To Kill a Mockingbird which she thought little of. She, and the world, believed the manuscript was lost and Lee decided to quit the writing life, all in the 50s. Sure enough, some sixty years later, her lawyer finds the second novel attached to a manuscript for To Kill a Mockingbird. With Mockingbird a Pulitzer prize-winning classic of American literature, a small part of its (and Lee’s) popularity and endurance has been due to mystique. For fifty years, the literary world has puzzled how a writer on top of the world decides never to produce again. (See a previous article I wrote on it, HERE.) 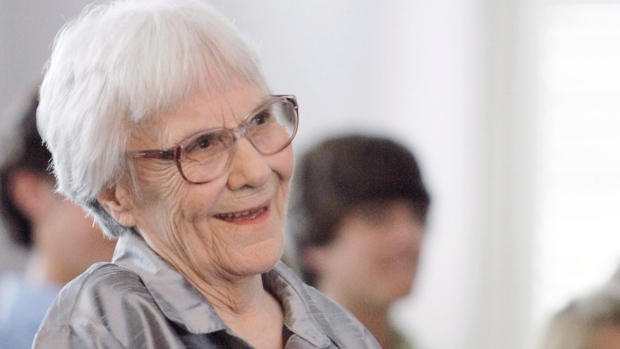 Harper Lee has been the most famous of the Finding Forester authors (along with J. D. Sallinger) and her quiet and extended life has done nothing to decrease the curiosity and interest. Just a couple years ago, the world erupted with Lee buzz again, on the fiftieth anniversary of her novel. A new generation wondered how she could walk away, and why. Publishing the second book, now, is an enormous risk. Not financially, of course, and I sincerely hope that Lee’s publisher and lawyer are not making light of Lee’s reputation and wishes just for this ridiculously lucrative deal. I really, really hope that this book is awesome and cohesive with the first. The risk lies in what could happen to Lee’s legacy and to her privacy, both of which have weathered the past fifty years by remaining silent. Of course, every author takes these risks with every book they publish. Authors are a courageous bunch and it’s a vulnerable life. It’s just rare that so many millions will be watching with bated breath. And I will be watching. Despite of, or maybe because of, all the hype, I’ll be grappling for a first edition in July and I’ll be stretched out on a beach blanket finding out, after all this time, what has happened to Scout and the state of literary success.